Radio waves from a distant galaxy were blocked from view by an asteroid in our Solar System. 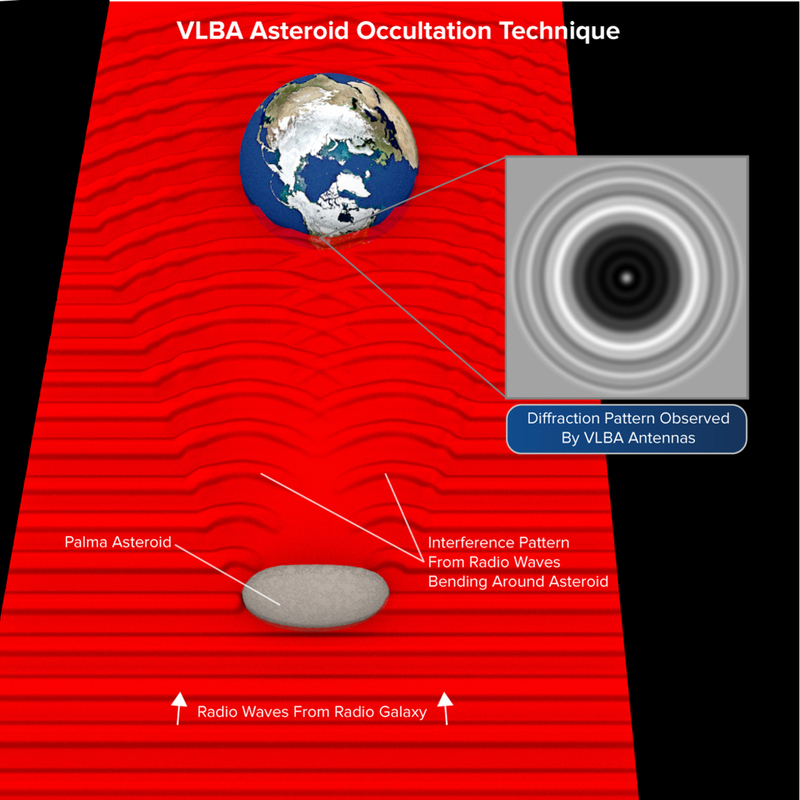 However, in a process called diffraction, waves bent around the asteroid and interacted to form a pattern of bright and dark circles. Astronomers analyzed this pattern to learn new details about the asteroid\'s. size, shape, and orbit.